Need A Lawsuit Cash Advance? Contact Verum For Your Lawsuit Loan. Hernia Mesh Lawsuit Loan Many plaintiffs have filed lawsuits against hernia mesh manufacturers and need a lawsuit cash advance. 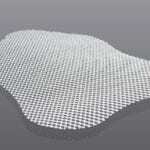 If you have been implanted with an hernia mesh and it has been defective then you need some help. Contact a lawyer but after that if you need a pre settlement loan on your case, contact us. We can get you the financing you need on your case. 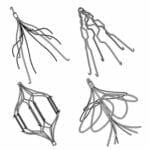 IVC Filter Lawsuit Settlements Many IVC filter company’s failed to let patients know that IVC filters can break, tilt, and migrate from the placed position and then can puncture the lungs, heart, or inferior vena cava. If you or a loved one has had a IVC filter put into your body and have had complications you may be entitled to a lawsuit settlement. Contact us today if you have a lawsuit against one of the IVC filter companies and need lawsuit cash advance. Opioid Lawsuit Loan Since 1999 there has been a 300% increase in opioid prescriptions. 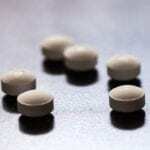 Many have also developed severe addiction to these prescribed pain killers. 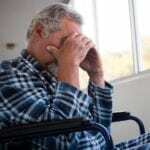 It is now the leading cause of death in individuals that are under the age of 50. Many lawsuits have been filed against pharmaceutical companies, doctors and hospitals. If you are in need of a pre settlement loan contact us. We can get you the financing you need while you wait for your lawsuit to settle. 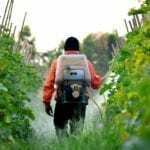 Roundup Class Action Lawsuit Payout Roundup a weed/grass killer(from the parent company of Monsanto)that is used by many for taking care of their properties and others was a product marked as a non toxic and safe. Now apparent the parent company Monsanto withheld important information on linking evidence between Lymphoma and their Roundup product and other types of cancer. Many lawsuits have started to be filed against Monsanto. If you need a cash advance or a pre-settlement loan while you wait for your lawsuit to settle, let us know we can help. 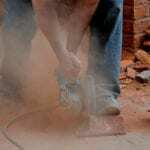 Silica Lawsuit Settlement Silica has been know to cause chest pains, respiratory failure, and even death. If you have a lawsuit and need a pre settlement cash advance on your lawsuit, let us know. We help those who need a plaintiff pre settlement financing on their silica case. 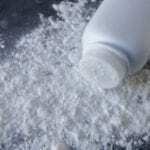 Talcum Powder Lawsuit Loan Many users of talcum powder have had many serious and severe problems. Recent studies have shown that those that have used talcum powder have had a increase risk of ovarian cancer as much as 30 percent. Major companies such as Johnson and Johnson are under fire due to their use of talcum powder in some of their products. Many lawsuits have developed due to this, already three major verdicts have been handed down in cases. If you are waiting on your lawsuit to settle and need a loan on it contact us today. We can get you the lawsuit cash advance you need. Verum Funding can get you the lawsuit cash advance that you need!